During the 1970s and early 1980s, the United Nations Educational, Scientific and Cultural Organization (UNESCO) was a hot topic in international communication as well as in international politics. In a Cold War context, the Non-Aligned Movement’s call for a New World Information and Communication Order (NWICO), denouncing imbalances in ownership, production and distribution of communication and advocating a more balanced flow of information, caused severe antagonism between the Third World and the communist bloc versus the Western world. These tensions eventually led to a withdrawal from UNESCO by the United States in 1984 (the US rejoined the organization in 2003) and the United Kingdom in 1985 (the UK rejoined the organization in 1997). 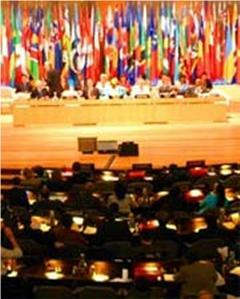 As a response, UNESCO issued the New Communication Strategy in 1989. It ‘reinstated’ the free flow of information doctrine and its main focus on the development of communication is maintained until present. My doctoral research intended to provide a new angle from which the changes in UNESCO’s policy on international communication and on communication and development which occurred during the 1980s can be understood. In this doctoral research, I examined UNESCO’s key policy texts (1975-2005) on international communication and on communication and development and the organization’s cooperation with the software corporation Microsoft. The application of a methodological framework for reflexive interpretation (or ‘quadri-hermeneutics’) to the discourse-theoretical steps of describing, interpreting and explaining enabled me to develop a sound and accurate critical-interpretive method. Besides providing a specific framework for understanding the changes in UNESCO’s policy, this analysis offered an understanding of how alternative approaches to development are co-opted by more ‘orthodox’ development discourses. Also, it enabled an explanation of changing discursive configurations in the context of hegemonic neoliberal approaches to development.